VIENNA --- Schiebel has successfully demonstrated the heavy-fuel variant of the Camcopter S-100 Unmanned Air System (UAS) as part of its customer acceptance program with the Royal Australian Navy (RAN). In a comprehensive series of tests, the JP-5 (NATO F-44) heavy fuel-powered Camcopter S-100, equipped with a Wescam MX-10S payload and at operational ranges of up to 60 nautical miles as well as altitudes above 10 000 feet, presented its ability to deliver world-class imagery to commanders. 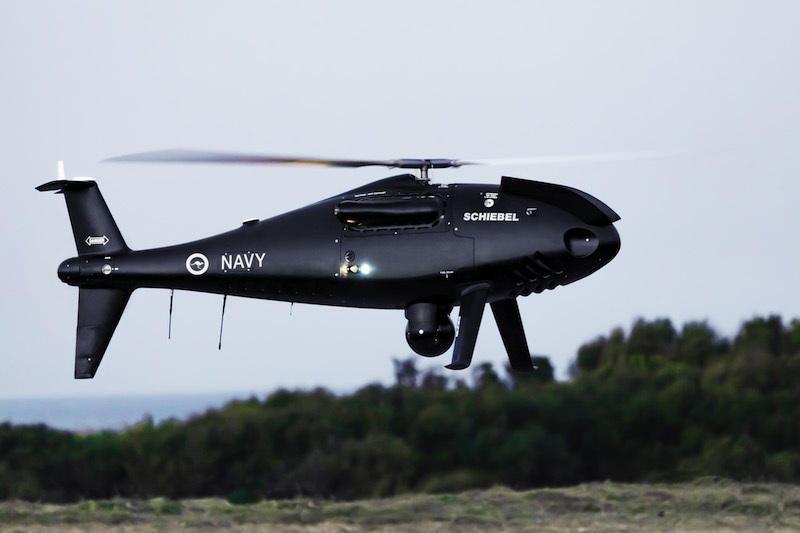 Founded in 1951, the Vienna-based Schiebel Group focuses on the development, testing and production of state-of-the-art mine detection equipment and the revolutionary Camcopter S-100 Unmanned Air System (UAS). With headquarters in Vienna (Austria), Schiebel now maintains production facilities in Wiener Neustadt (Austria) and Abu Dhabi (UAE), as well as offices in Washington DC (USA) and Phnom Penh (Cambodia).